Through a number of initiatives like our collaboration with Positive Luxury, the Lutetia aims to establish an ethical framework that fulfils an obligation to act for the benefit of society at large, not just for the immediate benefit of the business. By making proactive choices that go beyond the minimum requirements dictated by governing authorities, we can establish practices that take accountability for the company’s effects on environmental and social wellbeing and have a more positive impact. At the Lutetia we believe that a better world will rely on a global culture based upon collaboration. As such we have partnered with Positive luxury, a community of luxury brands who are conscious of the planet and its future. The interactive Butterfly Mark that Positive Luxury carries, provides transparency, highlighting to consumers which brands they can trust based on what they are doing to better our world. 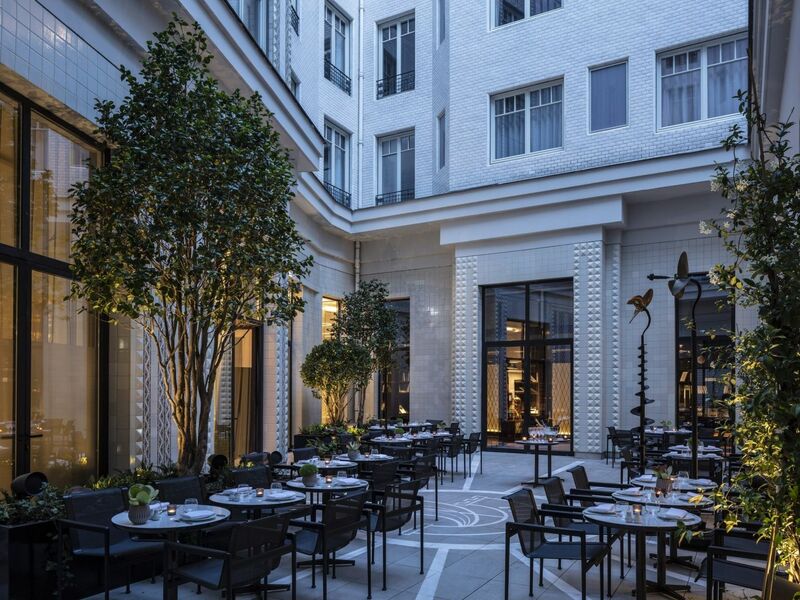 Positive Luxury enable brands to credibly share their sustainability credentials, giving our guests hard-to-find information and insights which in turn we hope positively influences the brand perception of the Lutetia and our group The Set Hotels. You will find the butterfly mark across the Lutetia and all hotels of The Set. It is only awarded to purpose-driven brands that demonstrate their positive social and environmental impact, helping consumers shop with confidence. The Butterfly Mark is fully interactive. Just click or tap on the butterfly mark across our websites to discover our Positive Actions, offering insight into our efforts and achievements as verified by Positive Luxury. We have fully restored and rejuvenated our parisian heritage building. This project was a lengthy process that we undertake in partnership with the world renowned and gifted architect Jean-Michel Wilmotte. From the very start we employ a ‘future fit out evaluation process’ where the potential of the buildings is fully explored in order to minimize the environmental impact associated with the demolition and construction. 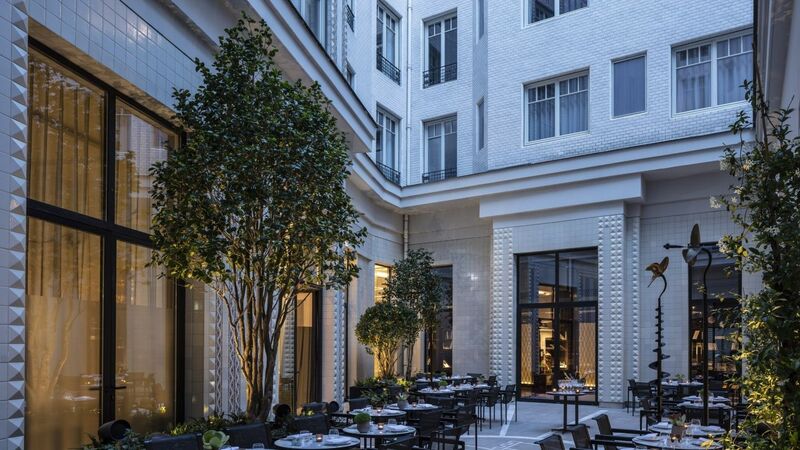 The development of Hotel Lutetia is very proud to have attained an excellent rating from BREEAM. BREEAM is the world’s leading sustainability assessment method for masterplanning projects, infrastructure and buildings. It recognises and reflects the value in higher performing assets across the built environment lifecycle, from new construction to in-use and refurbishment. All light bulbs from halogen are LED. This drastically reduces energy consumption as LED bulbs are more efficient and the air conditioning won’t have to work so hard to cool rooms being heated by the side effect of the halogen bulbs.